Home » Assam Election » Watch: what's the relevance of Bengali-dominated Barak Valley in Assam politics? Watch: what's the relevance of Bengali-dominated Barak Valley in Assam politics? 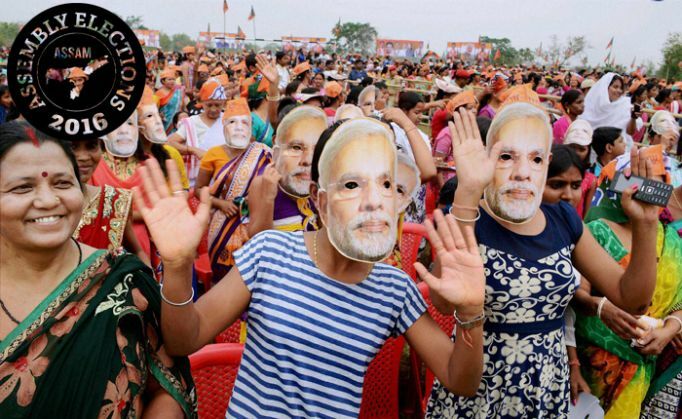 #AssamElection: Barak Valley will remain a Congress stronghold or will BJP wrestle it away? As BJP concentrates on better rail connectivity and infrastructure in the region, it could eat into the Congress\' seat tally. Polarisation is the name of the game here, with the BJP intent on granting citizenship rights to Hindu immigrants from Bangladesh. The story of Assam politics is incomplete without talking about Barak Valley. Unlike the Brahmaputra Valley - Upper and Lower Assam, the issues in this part of the state are very different. Outsiders often mistake these three Bengali-speaking districts for being the strongholds of either BJP or AIUDF. There are reasons for it. Bordering Bangladesh, the Bengali Muslim population in this region is quite substantial in size. The natural politics seem to be that of polarisation. BJP's stand on granting citizenship rights to Hindu immigrants from Bangladesh has only added to this image. However, the reality is quite different. Arithmetically, the Indian National Congress is still the dominant political party here. Out of the 15 constituencies from the region in the outgoing state assembly, Congress has its MLAs in 13 of them. Out of the two MPs, one is from Congress and another from AIUDF (who is a Hindu). But this election will change things. In the last two years, since BJP's win at the centre, the saffron party has been concentrating on turning this area into a stronghold by focusing on long-standing demands like better rail connectivity and infrastructure. The party is expected to win around 5-6 of the assembly constituencies this election. Congress will certainly have a reduced tally but is not expected to be wiped out. AIDUF might increase its tally marginally, claim political observers in Silchar. Editor for Speed News aka Catch Live and Operations at Catch, Kunal enjoys measuring his life in numbers. Of his 30 years of life, 12 have been spent working, 9 of them in journalism. The remaining 3 were spent in 2 call centres, talking to British and Australians about insurance and cellphones. In his journalistic capacity, Kunal has worked at 3 publications and headed 2 online teams. The '3' includes Images Multimedia, Tehelka and DNA. The '2' includes Tehelka and DNA. 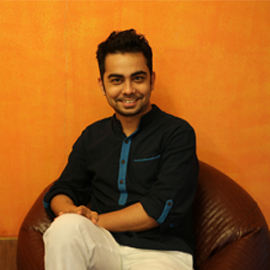 Catch is Kunal's 6th workplace, where he will head his 3rd team as speed news editor. As a reporter, he won 2 awards - Statesman Award for Rural Reporting and UNFPA-Laadli Award for Gender Sensitivity. That's his story in Prime Numbers (a section on this site from which he's taken inspiration). TWEET THIS Political expert explains often asked questions on Barak Valley's politics #AssamElection: Barak Valley will remain a Congress stronghold or will BJP wrestle it away?